Last night, Walkstarter, the school walkathon fundraising platform I created, achieved a meaningful milestone — $250,000 in aggregate funding for schools. This is so awesome. It’s also very exciting that more and more schools across the U.S. are requesting to use this platform. I have never really written much about the platform and this seems as good a time as any to give some background. Three years ago, I managed to get elected to my kids’ school PTA and my assigned focus area was fundraising. Being completely clueless about how Walkathon fundraising works, I requested a meeting with the Walkathon Committee chair at the time. My goal was to understand how things work and what support she needed. I played it safe and told her I knew nothing, didn’t know what questions to ask, but wanted to support her in any way possible. She patiently explained how Walkathon fundraisers work and highlighted her two biggest challenges: (i) It took a long time to collect pledged funds, sometimes stretching into December, and (ii) It was hard for the Foundation to make plans without knowing how much money was going to be raised. Very predictably, my brain gravitated towards an online solution. I drew inspiration from KickStarter, ran some ideas by the PTA, and thus, Walkstarter was born. Stevenson, my children’s school, used it for our Walkathons in 2013 and 2014, and despite my mediocre code, we saw stellar results. 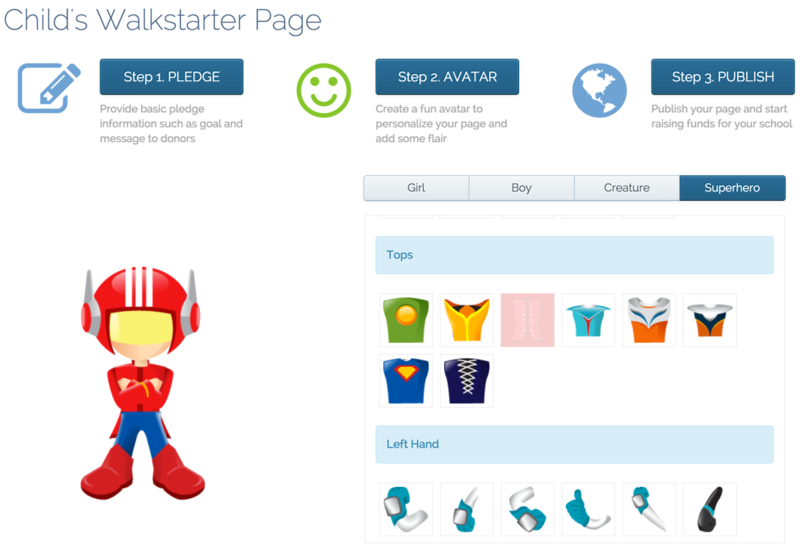 In the last few months, I have significantly enhanced the platform adding better funding page management, tons of analytics, processing for offline donations and a greater selection of avatars for kids to create including aliens and superheroes. (Screen shots at the end of this post). Being a firm believer in “a rising tide lifts all boats,” as we got close to the end of last school year, with some help from others, I reached out to other Mountain View PTA leaders, and on May 18, 2015, I presented Walkstarter to them, and offered it as a 100% free solution for all Mountain View schools. They accepted and over the summer, I rewrote the platform to support any number of schools. One month ago, just about the time Stevenson started its Walkathon fundraising, so did Bubb, Landels and Mistral, all Mountain View schools. After only a few days, other schools outside Mountain View learned about Walkstarter and wanted to use it as well. I obliged. Today, there are schools in Mountain View, San Francisco, San Jose and Orlando using Walkstarter, with other schools in the country in the pipeline. I think Walkstarter is gaining traction because it does one thing really well and is a simple solution to a very common problem. We are in an era of shrinking public investment in schools, and PTAs are being forced to pick up the slack. Walkstarter is helping address the shortcoming. Given its primary capability of enabling fundraising outside of school localities, it affords schools, especially in poorer neighborhoods, an avenue to close the funding gap by leveraging non-local donors. 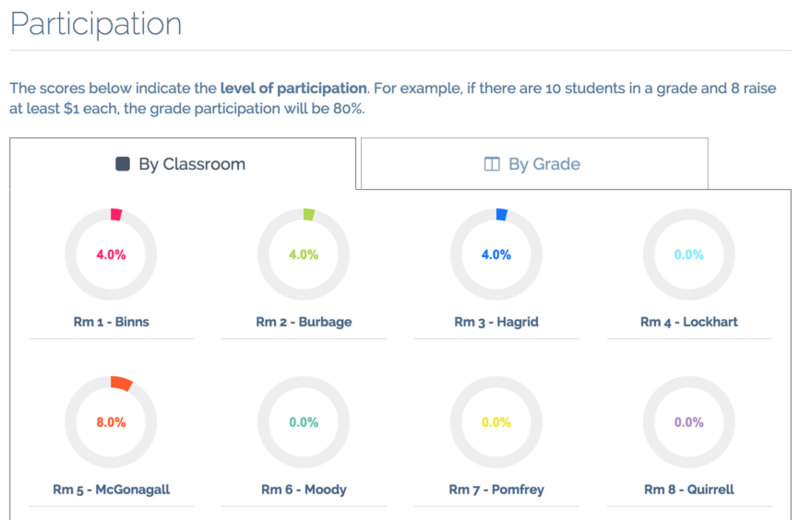 On average, schools using Walkstarter are seeing 40% of funds coming from outside the local school area (example: https://stevenson.walkstarter.org/analytics). I call this “trickle across funding” and think it is a very effective and efficient way for PTAs to achieve their funding goals. My goal is to continue to offer and support Walkstarter at as many schools as possible. Wouldn’t it be great to reach the $2.5 million mark next year? I think it’ll happen. In addition to fundraising, I also see Walkstarter as a first step toward a vision of making free, high quality software tools available to all public schools, and look forward to having other like-minded folks join me on this journey. You can visit individual school Walkstarter sites from the main landing page at https://www.walkstarter.org. Please take a moment to Like the Walkstarter page on Facebook. Thanks. Thanks for getting this started for us. You are truly king of the Walkathon. Hi, Nik! The Theuerkauf PTA would love to set up a page for this year's Walkathon. Can we chat?